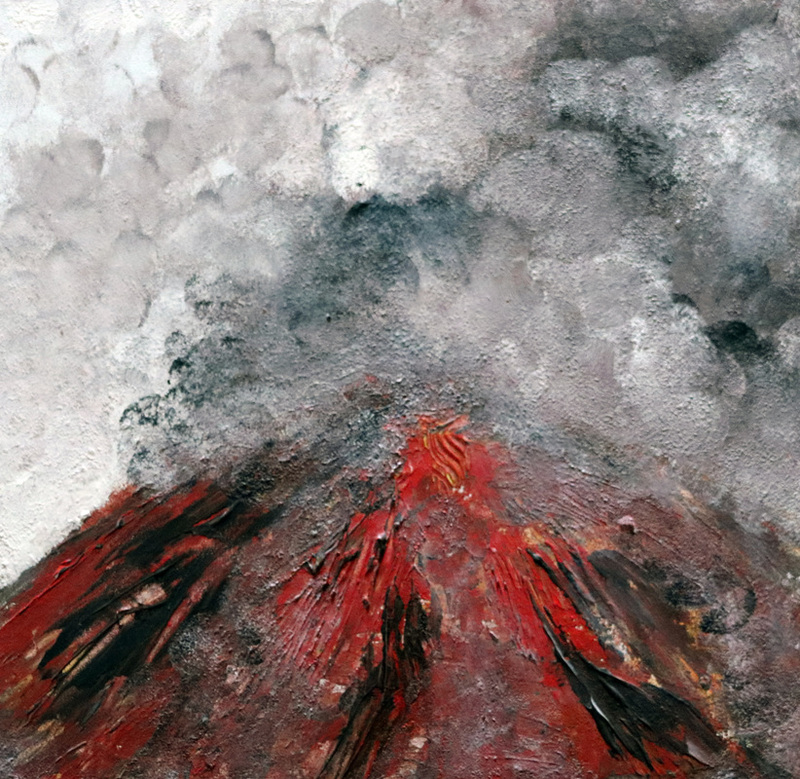 Earth's living, breathing heart – Volcanoes. ​I am exploring the mystery of the planet’s living, breathing heart. From the Ring of Fire to Arizona’s Sunset Crater, volcanoes have continuously shaped our plant. Explosive and violent, or slow and persistent, volcanoes are the most powerful cause of geologic change on Earth. 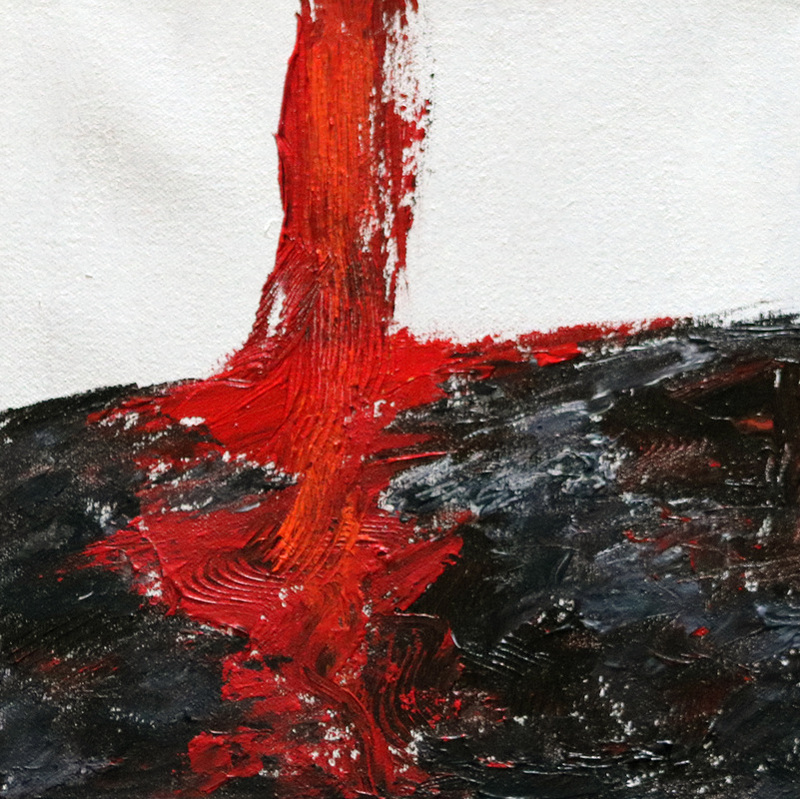 Within hours, a volcanic eruption can create new land as it melts away everything in its path. It can release gases that alter Earth’s atmosphere and dramatically change climate for decades. While our newsfeeds remind us of the destructive but visually inspiring explosions, we hear very little about the unique ecosystems they form. Volcanic soils can develop into rich agricultural lands due to the minerals found in ash. Plants and animals have adapted to active volcanic environments and need them to survive, like the 'Ohi'a lehua tree in Hawaii that grows on recent lava flows. However, eruptions are also harsh and lava flows will abolish everything in their path. 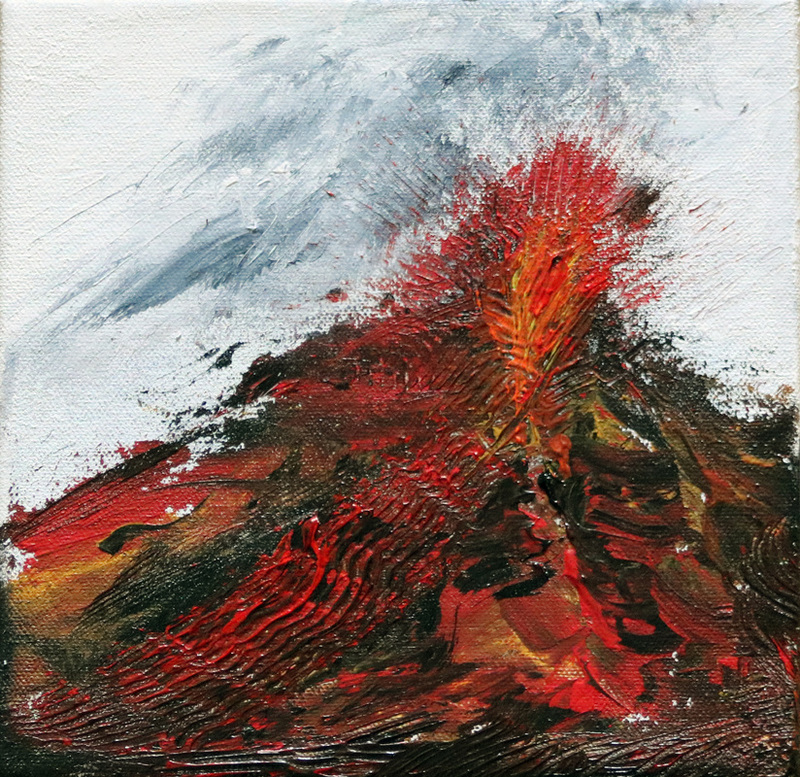 It depends on one’s perspective whether or not volcanoes are destructive or creative. Native Hawaiians revere the volcanoes of Hawai’i (the Big Island) as the source of spiritual energy and regard Pele, the volcanic goddess of fire, as the creator and destroyer. In Hopi legend, Ka’na Kachina caused Sunset Crater to erupt after people engaged in koyaanisqatsi, a life out of balance. 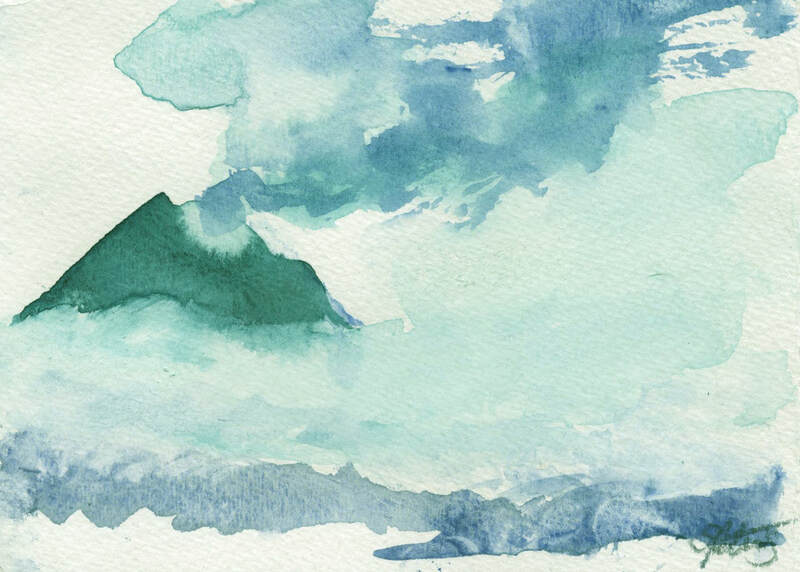 Globally, indigenous societies recognized their relationship to these powerful mountains and had a deeper connection to the planet. 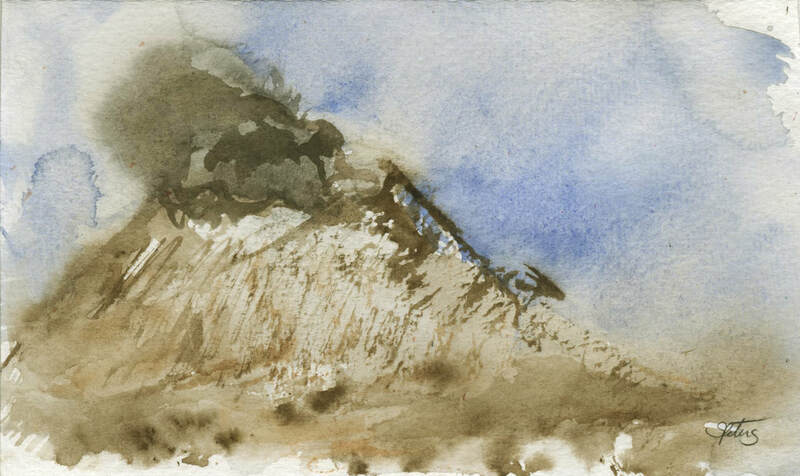 The mythic world of volcanoes is impenetrable to the modern mind though. As violent and obvious as active volcanoes are, millions of people live in harm’s way and have done so for centuries. People buy houses and raise families with active volcanoes in their backyard and think nothing of it. In response to this, Emergency Management Specialists and Community Resilience Researchers seek to prevent or mitigate the harmful impact of volcanoes on societies. They try to raise awareness of local natural hazards and preparedness actions through community based education. In 2010, upon learning my flight was canceled because of ash from Iceland’s Eyjafjallajokull eruption, I wondered how something as big as a volcanic eruption could sneak up on us. Where did our mythic connection to the planet go and can art bring it back? How can we raise community awareness of the destructive potential and promising lifecycle each natural event delivers? 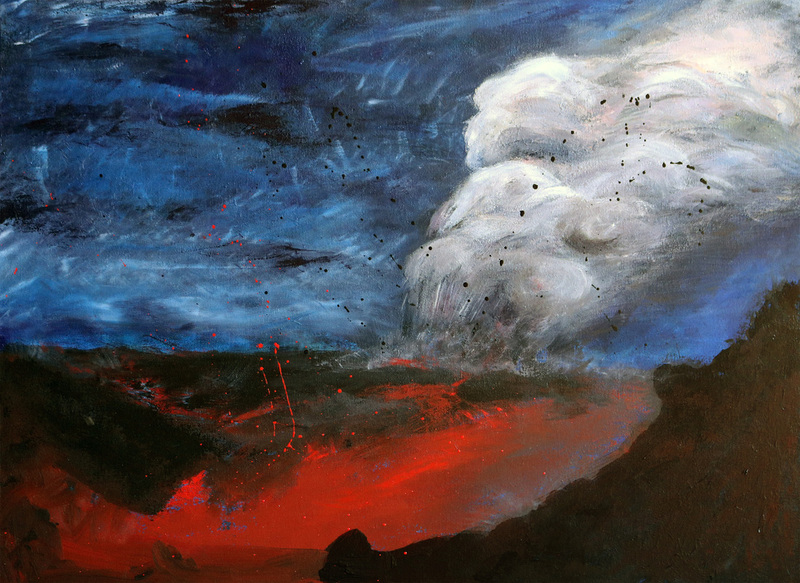 How can art help educate and prepare us for the next eruption? This series is my way of visually telling the remarkable story of the planet’s living, breathing heart. 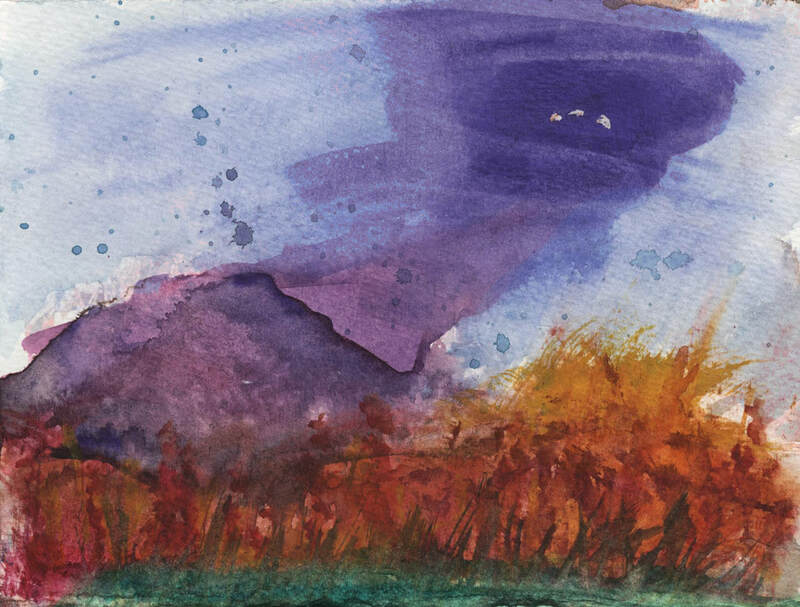 And to inspire a new understanding and relationship to the changing Earth through it's most active, explosive voice - volcanoes. Pouring Lava. 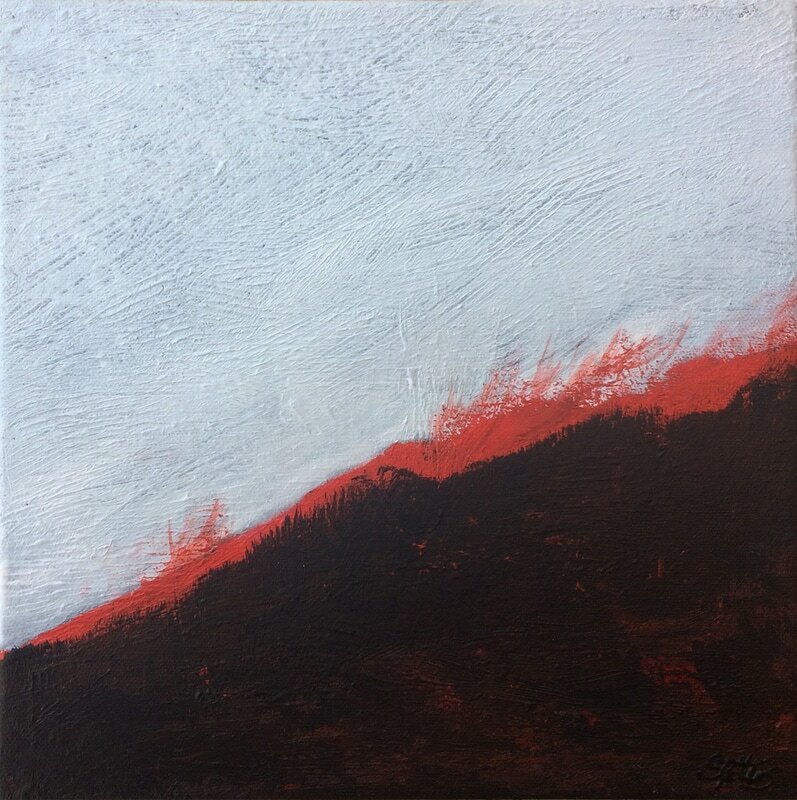 Acrylic on canvas, 10x10"
Peaking Lava, Acrylic on canvas, 10x10"
Ash Cloud. 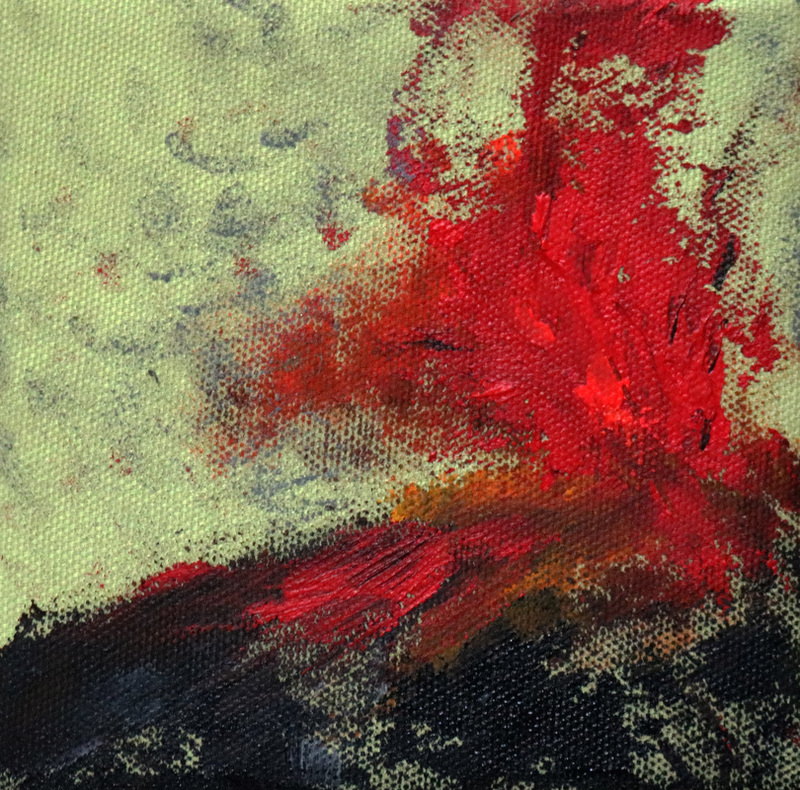 Acrylic on panel, 12x12"
Exploding Volcano. Acrylic on canvas. 20x16"
Earth's Breathing Lung. Acrylic on canvas. 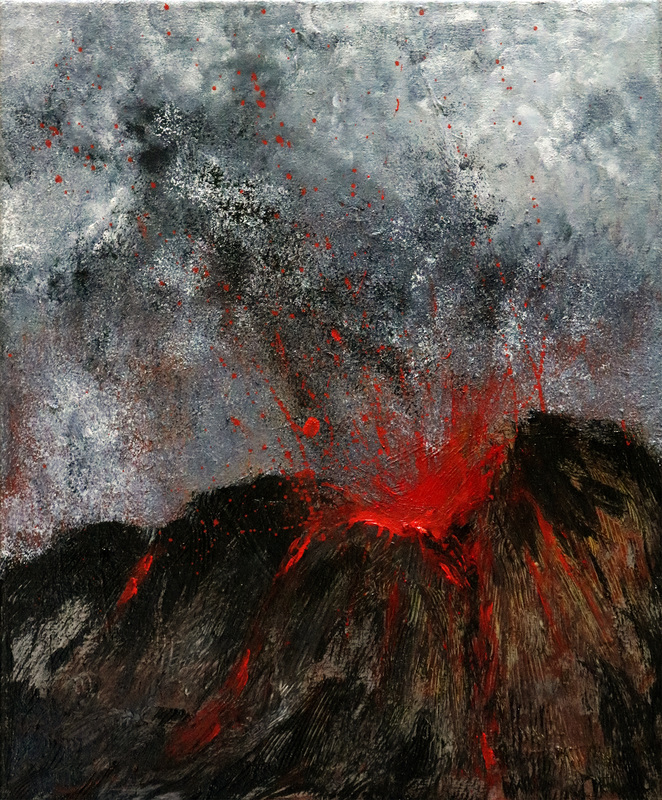 30x40"
Volcano of fire (Volcán de Colima). 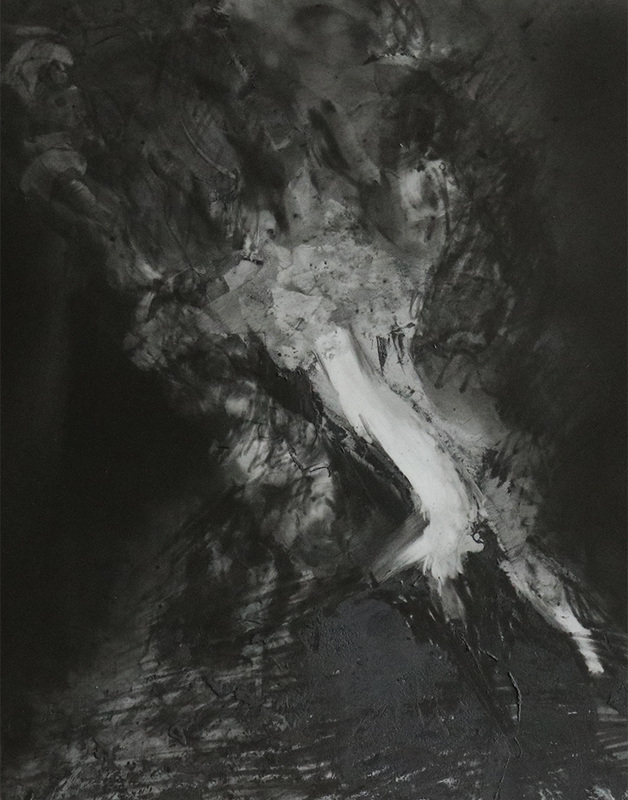 Graphite powder 10x8"